This innovative, handcrafted console will be a wonderful addition to your home décor. With its semi-circular top design, the console can be placed flush against a wall. 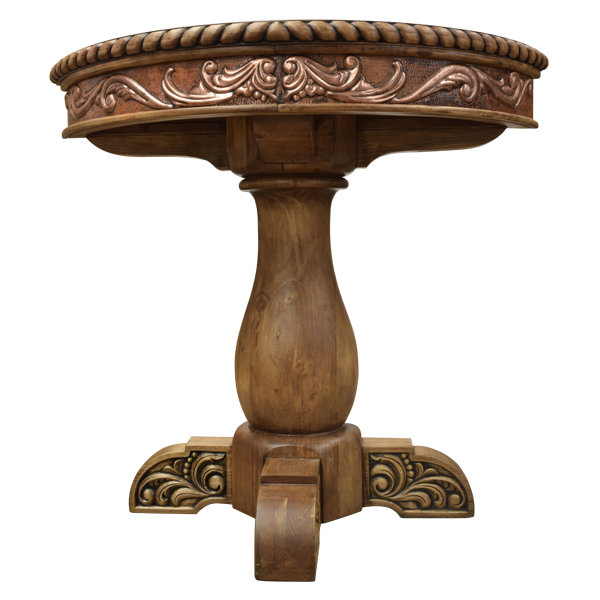 The top rim is embellished with an exquisite, hand carved, twist rope design. The side of the top is adorned with hand hammered copper with a marvelous, hand tooled copper, floral design. 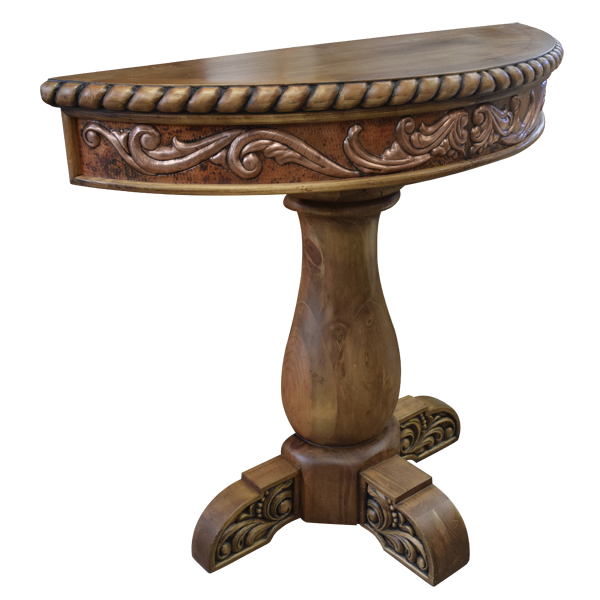 The top is supported by a solid wood, hand turned, pedestal base, and it rest on four, sturdy wood feet. 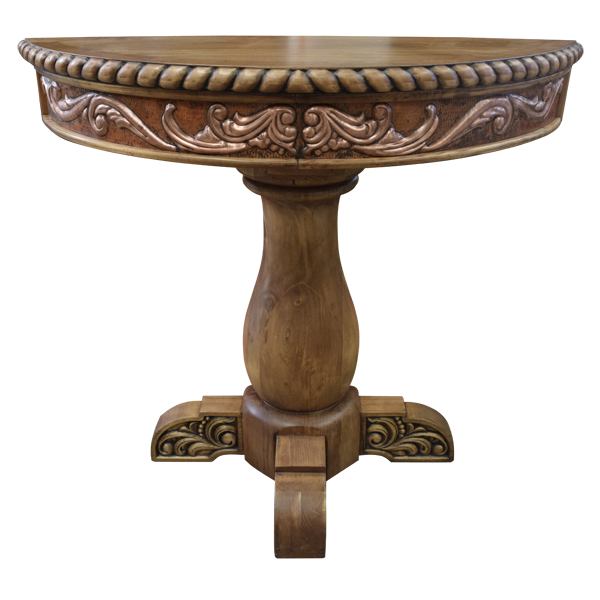 The feet are hand carved with matching, ornate, floral designs. The console has a versatile, light finish that enhances the natural grain of the wood, Made with the best, sustainable, solid wood available, it is 100% customizable.